Do you want to translate a Woocommerce shop? 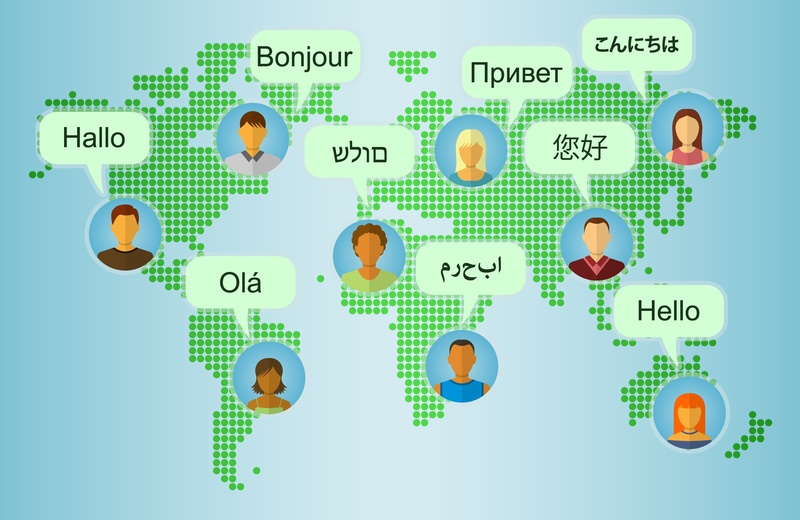 For those WooCommerce store owners who are ambitious about translating their shop and going worldwide: first of all, you should contemplate about making your Woocommerce store multi-lingual. However, it is not that simple because the translations of WordPress (and in particular Woocommerce) can be bewildering for most individuals. This can occur because WordPress was initially envisaged as a tool for blogging and not an entire online business content management system (CMS), let alone be a webshop CMS. Adding another language to a new WordPress with a complete new WordPress Woocommerce installation is one of the options of making your Woocommerce store multi-lingual. This can be achieved via a subfolder of the root folder or a complete new domain name. For a case in point, if you were to include the Spanish language to the default English language, you can make a new folder “es” in the root folder ( ../public_html/es/). This signifies that getting to yoursite.com/es/ can access the new installation, and you are at liberty to add another language or even its currency there. This method has merits and demerits. Some individuals favour this approach to make a Woocommerce store multi-lingual. However, you should note that current plugins for multi-lingual woo Commerce are a lot enhanced as the advantages of managing various installations are a deal-breaker for nearly all owners of Woocommerce stores. Complete adjustability: one can customise every feature of the translated website; even affix/remove posts pages or products. It is an incredibly slow and complicated content tool: if you necessitate doing a single change to some languages, it will require you to do so in each installation. After numerous revisions, one can effortlessly lose track of what was updated in a certain area. Intricate Maintenance: Each site needs be autonomously tested and updated. Problematical reporting: to have a general idea of sales one is required to get data from every installation. Stock synchronisation: Crosswise installations of inventory do not sync, attempting to achieve this can considerably cause difficulties to your set up. Licenses of Plugins: Those using premium plugins which come with limited activation might come across various problems as they activate them in every installation. The plugin is a alternative towards making your Woocommerce webshop multi-lingual. As one of the original solutions of making WordPress multi-lingual the plugin has been with us for long enough, and it powers approximately half a million WordPress websites. Once WPML is installed,it takes care of the translated editions of your site. It allows you to translate practically anything: posts, pages, custom post types, custom fields, taxonomies, menus and any element in your plugins, theme, URLs, all Woocommerce features, website and WordPress admin. WPML supports many languages and it has over 60 inbuilt lingos, and their authors regularly update it. There are many expert translators who work in this company to interpret in various languages if you need to be free from the bother of manual translation. Since WPML is a premium plugin service, you have pay to use it. Luckily its price is worth the many features it offers that are not found in any free Woocommerce multi-lingual plugin. The plugin is a user-friendly plugin and hence working with it is simple than with other plugins. This plugin creates an independent post for all languages used as it aids in its proper management. When you buy the WPML plugin license, it is for countless websites. It offers you comprehensive documentation so that you may go through it and appreciate all the processes and needs of setting up a Woocommerce multi-lingual store. It requires being purchased. Even if the this Woocommerce multi-lingual plugin is listed in wordpress.org as a free tool, you need the paid edition for it to work well. It’s loads of work….you need to open each and every attribute, post, category, and so on to translate it. If you have 1000 products or even more, it’s almost not done to get your translated webshop running fast for all products. The Woocommerce Polylang plugin allows you to interpret your store into a multilingual one because of its integration to Woocommerce. Polylang is an easy to use plugin; the content of all languages have to be added: pages, posts and so forth. This makes it simple to affix the explanation of posts as per language obligations. With this plugin, the description for each language is written manually as Polylang does not offer support for any kind of automatic or professional translation service. UPDATE: The Polylang plugin supports the translation of woo Commerce via third party incorporation which has been proclaimed buggy with the latest edition of Woocommerce. Polylang plugin should be used cautiously. -The plugin can interpret media, pages, posts, post tags, widgets, categories, menus and much more. -Packs for WordPress language downloaded and integrated automatically. -For people who are not tech-savvy learning to add various languages in each page and post is quite complex for them. -All languages have to be translated manually. -Polylang does not support the multi-currency feature. Shoptranslate.com is an automated platform for multi-lingual updates and translation. Shoptranslate.com is a low cost translation tool which allows you to have an unsurpassed multilingual translation. Shoptranslate offers you the best automated podium for multi-lingual rollouts and updates of your web shop. At Shoptranslate they understand it is not that easy to begin a webshop in another country, especially when the start-up overheads are so high and you are still exploring what works well and what doesn’t in that country. With Shoptranslate.com updating and doing more is at all times possible, however, first you require the basics to make out if you will go on with your store in that country. For a small deposit of the whole amount you can begin with a well-reflected tool which does not only save time, but also real cash. Shoptranslate has a wealth of experience in online marketing and Search Engine Optimisation (SEO) hence they know what you require. The company understands time is money, and competence is an essential ingredient of thriving cross-border approach. The Shoptranslate tool can make you realize your cross border webshop in just a week, attach it to your original store and interpret it for you. They are much quicker than most external webshop makers. Hence, you can begin selling from the store at your convenient time. This great company uses your custom made design or the same design you use in the original shop. Do not get worried about the translations. They do them for you automatically or manually: just remember they do not employ Google Translate. If you are not convinced about this tool: just download the free version (available from april 2017) and later upgrade when you are satisfied with the tool’s potential. Maybe your hosting costs go up a bit…but that will only be a small price to pay for a succesfull shop.